There’s no such thing as a bad seat in first class on the Qantas Airbus A380 but as seasoned pointy end travellers quickly learn, some seats are better than others. Where you're perched for that 13 to 24 hour journey to Los Angeles, Dallas, Dubai and London determines how much privacy you'll have during the flight, your view during the day, your chances at getting a good night’s sleep, and even noises that you’ll encounter from other passengers and from the galley. We went exploring aboard a recent Qantas A380 flight to bring you the pick of the superjumbo's 14 first class suites. On the world’s largest passenger aircraft with seats for almost 500 people, it can be a little hard to replicate the ‘private jet’ feeling that you'd normally get on the tiny upper deck on a Boeing 747. Your closest bet on the A380 is 1A or 1K, as there’s a solid floor-to-ceiling wall ahead of you, and as the seat again swivels to turn away from the aisle, all you can see is the view, your dining table, footrest and entertainment screen. On the downside, that blissful feeling may be interrupted when the nearby closet is opened and closed throughout the flight, and you’ll be passed by every first class passenger in your aisle on their trip to the restroom. That said, you’re otherwise much less aware that you’re on a commercial flight than as you can’t see a large cabin – rather, anyone – ahead of you. While not one for the claustrophobic, 2F is the perfect spot if you like to feel cosy and tucked in, thanks to space given to the stairwell running between the main and upper decks. You’re cocooned by walls spanning almost the entire suite, with a large privacy divider shutting you off from the aisle on the left. If you’ve invited a travel companion to dine with you in the suite, they’ll need to watch their head when standing up – there are far better things than arriving at your destination with a throbbing headache. If you’re flying during waking hours and want to take a break from the otherwise-great inflight entertainment, head for the ‘A’ and ‘K’ seats in row four. You can also use the fixed touchscreen control to raise and lower the opaque shade and the full blackout blind, so you’re all set. If privacy is paramount on your journey, we suggest you choose the window seats at the back of the cabin – 5A and 5K. First class passengers generally board via the door ahead of row 1, and the lavatories are also at the front of the cabin – so before take-off and during the flight, your suite should only be passed by the crew heading to and from the galley at the rear. Like all window seats, 5A and 5K rotate to face away from the aisle, including when the crew have made your bed to settle in for the evening or an afternoon nap. … but the A380 is a particularly quiet aircraft to fly on, so chances are you probably won’t notice the difference. There are two aisles through the first class cabin – the right aisle is used by guests in the ‘F’ and ‘K’ seats, while the left aisle is exclusively for the passengers in the ‘A’ seats. If you’re easily disturbed by people wandering about during the flight, opt for an ‘A’ seat where you’ll share an aisle with just four other travellers, whereas you’d have to contend with eight others over on the ‘F’ and ‘K’ side. There’s nowhere to store cabin bags within the Qantas first class suites, so ‘K’-seated passengers may be easily disturbed when the centre passenger opens a locker directly above their head. We’d peg 3A as the best all-rounder – you’re sharing that left aisle with only four other travellers and the crew, the overhead locker is virtually your own and you’re equidistant from both the rear galley and the forward closet and lavatories, making for a quieter journey. Better yet, you’re poised to make a speedy exit whether the superjumbo pulls up at a true A380-style gate with three aerobridges, or a more traditional dual gate with only one aerobridge for each deck. From 3A, there would only be only two people ahead of you in either direction, making for a perfect getaway when you’ve a tight onward connection or are heading straight to a meeting upon your arrival. 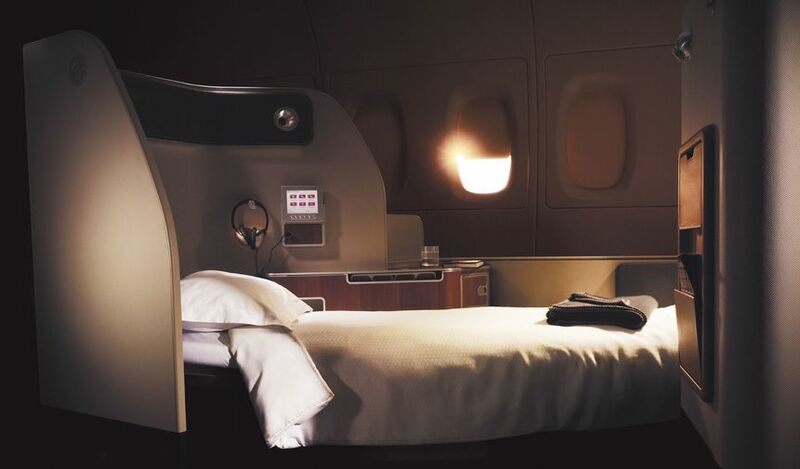 If you’re not great at sleeping on planes at the best of times – even in a fully-flat bed in Qantas’ luxurious first class – aim for somewhere other than 5F. We’re told by the crew that most passengers don’t tend to notice any noise or ever-so-slight vibrations in that seat, but that the disturbance is often enough to wake very light sleepers. There’s also the shared aisle to the right and the other aisle to the left, and although that left aisle can’t be accessed directly from 5F, the neighbouring suite in 5A doubles as bassinet seats to accommodate well-bootied babies. While the bassinet wasn’t put to use on our flight, the passenger in 5F could unluckily wind up amidst a screaming infant and a humming refrigerator, which doesn’t make for a solid rest for even the heaviest of hibernators. For light sleepers, we’d suggest 3A, or failing that, 3K. Do you have a favourite first class suite aboard the Qantas A380, and if so, what makes it special? Share your thoughts in the comments box below! I've often wondered what the whirring sound is which comes from behind and above seat 5L. It's not loud, but its intermittent nature means it becomes annoying once it is noticed. Its from the refrigiration ( chiller ) units that keep the contents of the meals carts cold. Avoid 5F and 5K if you are a light sleeper. So glad you prefaced the article with "There’s no such thing as a bad seat in first class on the Qantas Airbus A380" because that's what I immediately thought when I saw the article headline! Great article Chris, I agree with most of your points. 5K isn't a bassinet seat, 5A is the only bassinet. The overhead lockers above 1A and 1K are smaller than the others due to the shape of the aircraft. Passengers with lots of carry on might want to figure that in. Well spotted Fiona! Cheers for that, we've tweaked our guide accordingly. I always select 1A if I can, there is nothing better than being at the front of a plane with only the pilots in front of you. I am a relatively heavy sleeper so I don't find the closet door just in front of the seat a problem. What's louder for me is the storage drawer where the mattresses/quilts etc are under the stairwell. However they're not used unless people are making/unmaking beds which is all usually at the same time. 5K must be the upgrade seat. I only ever go first on an upgrade, and they always seem to put me there unless I get in ahead of time and ask to go further forward (in which case 1A and 1K are often available). 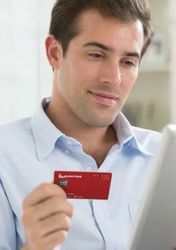 Has AUSBT tried out/reviewed Qantas first online to read? Hi henrus, I've only just spotted your comment as I was travelling when the article went live, my apologies! I was thinking about getting a points upgrade for my wife and self on next trip to London. It seems though that you can't really sit side by side, excepting space for guests in suite. This isn't really the same as being able to chat from time to time without moving to one or the others suite. Hi Bob – you're quite right, there is no side-by-side seating in Qantas' A380 first class... the best you can do is be in F and K seats which are adjacent, in either side of the aisle, and then have your wife join you on the 'companion' seat for dining or what-not. My wife, I expect, on reading this would be demanding first over business! Sadly she is stuck next to me in PE on our good days. I had a perfect experience in 2A last week to LA. The difference with business on my next flight on board a BA 747 from Sao Paolo to London felt like business/economy! Its Thursday 27th morning and I have just come off QF2 from LHR and I was in 3K so I was curious to read this piece. Disagree with much of it - the private jet feel for 1A/K how can that be when it gets the most traffic being at the front of the cabin, and the overhead bins are the smallest. You say 3A/K has 3 windows well I as I said I was in 3K and there was control of only two windows, you said 5A/K are the private ones, how can that be when they are just in front of the galley. You say 3A/K are the best, yes I'd agree BUT I don't get the point regarding light sleepers in those seats. If you're a light sleeper why go there? crosscourt. Was looking back over this post. Why make up stuff to disagree with? He did say 4A and 4K have an impressive 3 windows, and pointed out the rest have 2. Good reminder to read the content before commenting. Are you sure you were in 3K? 2K also has 2 windows. And for what it's worth, I always go for 3A, if available. Can anyone enlighten me as to which are the best seats for a couple. The seats in first class are offset rather than directly adjacent to each other. Also some seats have a barrier on the aisle side while others do not. My sister and I flew LAX/MEL in 3K & 4K - she joined me on the Companion seat for dining and a chat and we enjoyed our own space for the remainder of the flight, mainly spent watching movies on the great 'big' screen or chatting with the amazing and attentive crew! Both seats were fabulous :-) We flew Business on the MEL/LAX leg in adjoining seats and, not surprisingly, much prefer 1st for the added sleeping comfort - it's a shame to sleep away the 1st Class experience though but hard not to when the bed is so comfortable! 2A is always my first choice. Second choice: 3A. Well Done Chris. Without being too cocky I've sat in many of these seats and I think you're on the money. But I would say i prefer to be closer to the galley. It's always easier getting the Comtes. Cheers! Bevan Does Qantas serve Comte on first class ? Absolutely! Tattinger Comtes de Champagne (Blanc de Blancs) is an absolute ripper. They also do Pol Roger 'Sir Winston'. Living the life I prefer the Comtes. Keep in mind if you are leaving LAX or DFW they won't open the 'First Champers' until wheels up. So skip the offer of Champers until then. Sir Humphrey would too. I avoid 1A and 1K at all costs. The flight attendants seem to have little consideration for noise when during the night they need to access the storage units in front of row 1 and then slam the doors shut. In my experience this happens at random intervals all night and does not provide for a restful night. have 3A on Mel - Dub return (via Syd and LHR for status credits) at Christmas. Looking forward to the journey. I really wish you hadn't told everyone about 3A! That's my favourite seat for my SYD-LAX and SYD-DFW runs! I just reserved 4A for my next flight SYD > DFW for the extra windows, and being on the more "private" left side of the plane. Thanks, Chris! 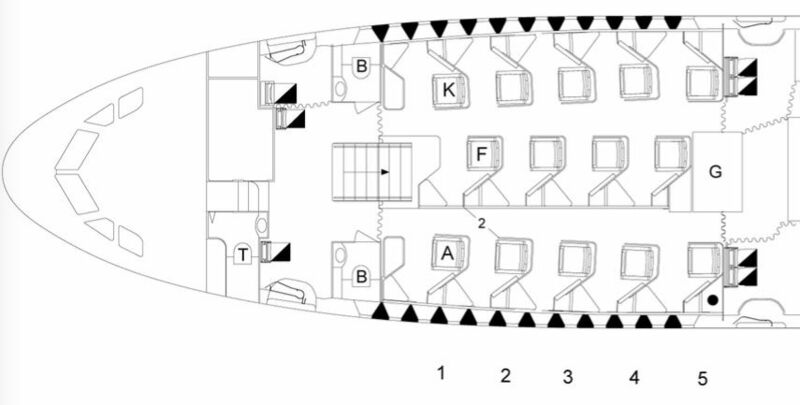 Comment on "The best seats in first class on the Qantas Airbus A380"